As most of my readers already know, the only advertising I do to get new ESL students is on craigslist.org. I usually keep two slightly different ads running at all times. However, I've noticed that the last ad I placed was on July 5th. I haven't had a single opening since then. And as a couple of my regular ESL students are leaving at the end of summer, I have former students either returning to the country and/or ready to start taking lessons again, so there's no need to advertise for new students. The ESL tutoring business is similar to other business in that it grows over time and less work is needed to grow the business. My business has grown and only requires a minimum of time to maintain the number of students I want. So if you are new in your tutoring business, know that it will likely grow and pay off. It just takes some diligence and patience. 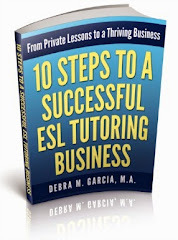 I recently raised my rates for private ESL tutoring sessions. I had put it off as long as possible, but with the cost of gasoline and the general cost of living increasing, I really didn't have another option. Of course, I wondered how my higher rates would effect my ESL tutoring business and whether it would stop new students from contacting me. It didn't. The students I had before my rate change are still paying the older rates. I didn't feel it necessary to increase these ESL tutoring fees. The Olympics are a great ESL conversation topic. 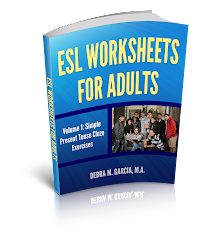 I'm using it as a topic for all my private ESL students; and the topic is really a bit different depending upon the student. As you can see, the Olympics are only a starting point for conversation and can lead to many topics. The great thing about the general topic is that it is something most students already know about and can therefore talk about without too much prompting (you usually don't have to pull teeth! ).